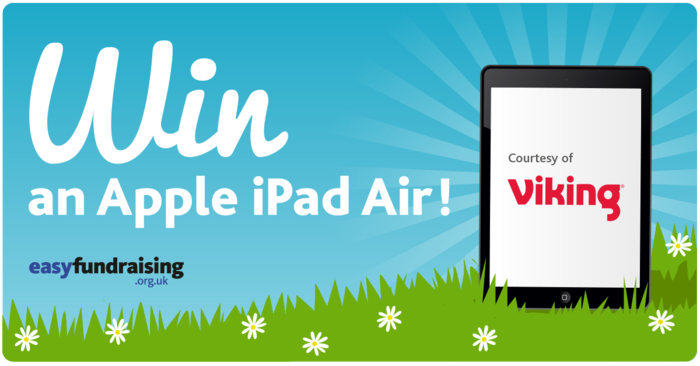 Hands up who wants to win an iPad Air? This great prize comes courtesy of Viking and it could be yours! Viking is the UK’s largest office supplies retailer to small and mid-sized businesses, offering access to over 12,000 office products at low prices, plus exclusive website offers and deals. Keen supporters of charity, last year alone Viking donated £58,657.63 to good causes through the partnership with easyfundraising!